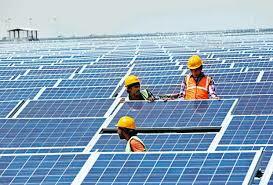 SOLAR GUIDELINES is a web-based platform for encouraging rapid development of the solar power sector in India. This work is available at www.solarguidelines.in for reference. GIZ/SECI has engaged Firstgreen and KPMG as National Consultants in order to further update the existing information for Rajasthan and extend the database to cover 10 more states that include Andhra Pradesh, Karnataka, Madhya Pradesh, Tamil Nadu, Odisha, Gujarat, Maharashtra, Delhi, Uttar Pradesh and Uttarakhand.